The other day saw PlayStation’s Powers adaptation coming out of hibernation to deliver its first Season 2 photos, now crashing through your wall with more to offer. Not only do we have a May premiere for the first episodes, but a brand-new trailer chock full of superhero action. We focused on what fans loved about season 1 and amped up the visual effects, cinematography, and stunts so season 2 is going to be louder, faster and more electrifying than anything you’ve seen from us before! In addition to casting Michael Madsen’s “Super Shock” and Tricia Helfer’s Agent Lange, Falling Skies alum Remi Aubuchon took up showrunning duties for the new season fulltime, while Ben Edlund (Supernatural, Angel, Firefly and creator of The Tick) will join the writing staff. 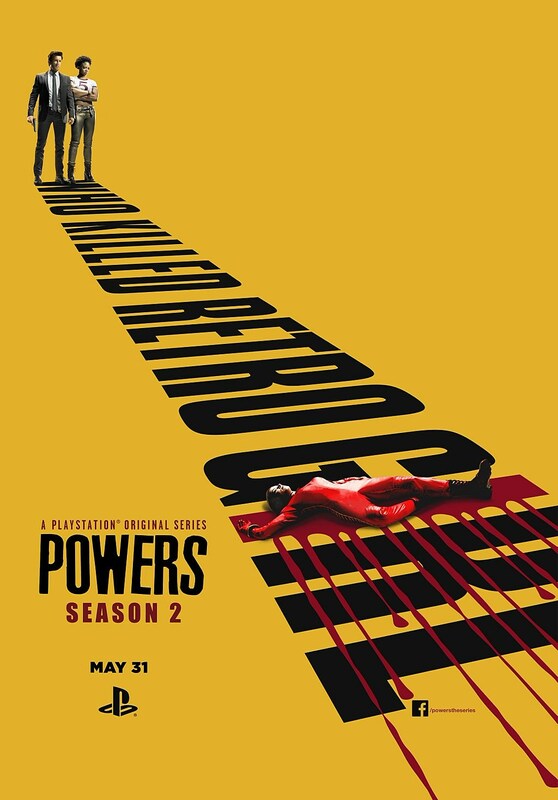 Stay tuned for the latest on Powers Season 2, and check out the first trailer again below.